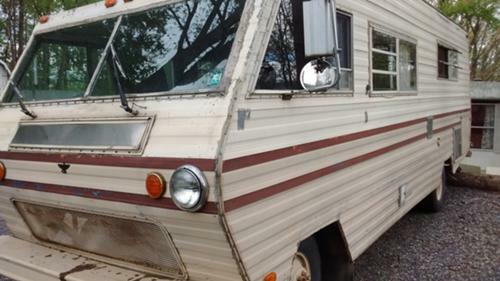 For Sale: I have a motor home with a 318. It has 53000 miles on it.Two barrel carb. 1973 motor home. It has 6 real good tread tires, has gas stove, electric fridge in it. Whole thing 1500.00. Interiors needs work. 814 977 7422. Made by Dodge,Fargo, Desota. Actually Generator tires and motor is for sale the rest you can drive away. I was gonna part it out but ill take the loss. Gen worth more than that its a kohler however spelled, quiet ive run it allnight just to hear it and see never used it to camp just go out a day come back. will trade looking for golf cart electric.